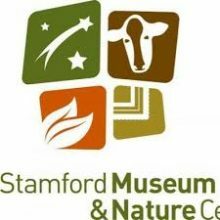 We're pleased to announce the addition of Stamford Museum & Nature Center in Stamford, CT to our Museum Pass Program. The Library pass provides free admission for two adults of the same household and all children under 18 to the Museum and its grounds. The pass also covers free parking and a 10% discount at the Museum Gift Shop. This 118 acre facility has much to offer: Heckscher Farm, a wonderful New England working farm; Heckscher WILD!, a live-animal exhibit; the Museum galleries; the Observatory; and over 80 acres of hardwood forest with miles of nature trails. To reserve a Museum Pass, please Museum Pass reservation page OR call us at 914-422-1480. Note: The Museum Pass Program is for White Plains Public Library cardholders only.